A look at the superb modern style and luxuries of this unique property is enough to confirm that it has earned the right to be called a Superior Villa. 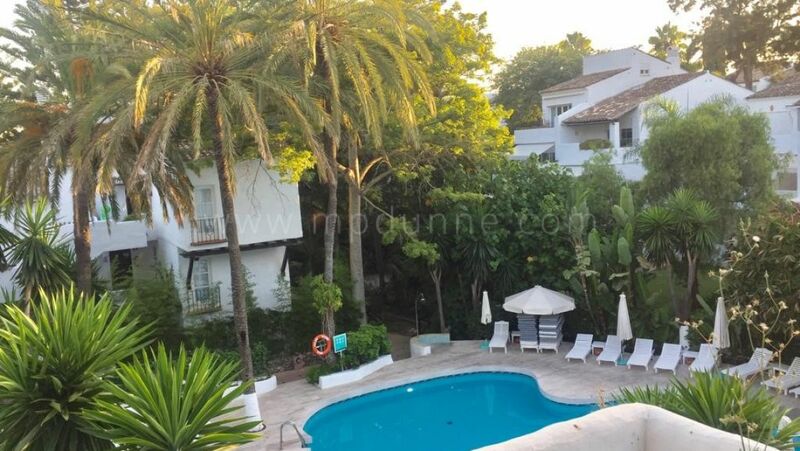 What’s more, it is situated in a superior location too, one of a small select community of luxury villas located on the second line to the beach at Puente Romano, the famed five-star deluxe resort on the Golden Mile. 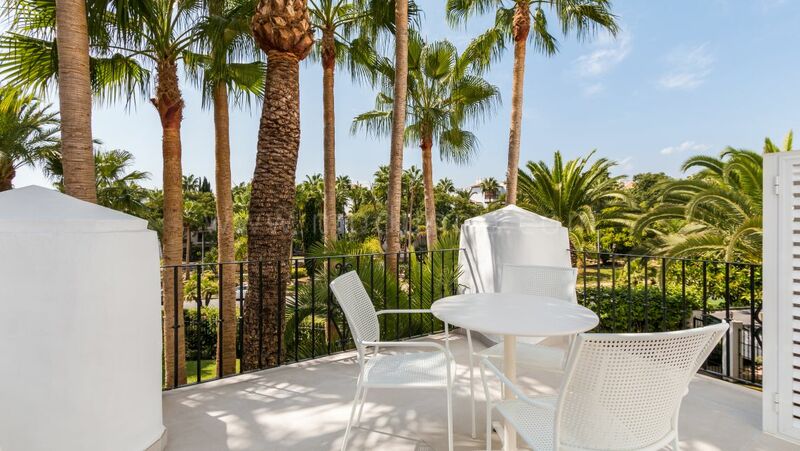 This location means residents are just a question of metres from one of the most exclusive stretches of beach in Marbella, close to the luxurious beach clubs, restaurants, nightclub, spa, tennis club and other premium facilities of the Puente Romano and Marbella Club hotels. 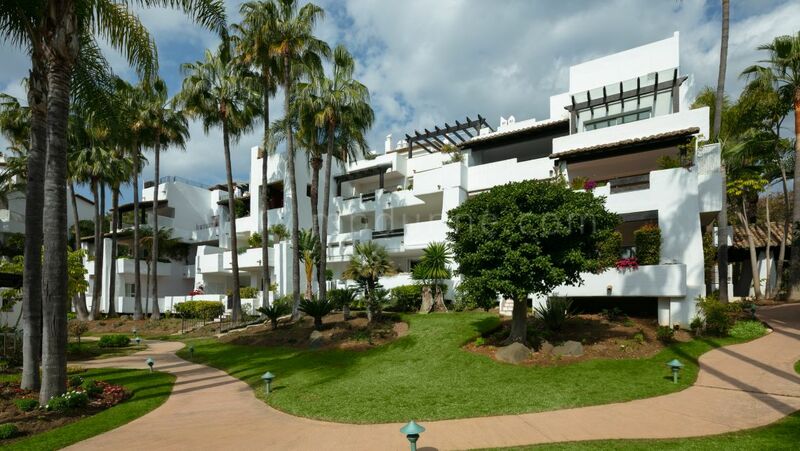 Here, in what is the top address in Marbella, and one of the most iconic millionaire’s rows on the Mediterranean, you will be surrounded by peace, privacy and security in a modern home that offers the very best of today’s style and luxury amenities. Luxury materials, advanced technology and sophisticated architectural styling have gone into making this one of the most appealing luxury residential propositions in Marbella today. Outside, the home offers aesthetic refinement set within a conveniently compact garden of 404m2 that nonetheless offers a private oasis surrounded by beautiful trees, water features, terraces for entertaining and a large deck with swimming pool and inspiring views of the Mediterranean. From here the wide sliding door opens on to a spacious open-plan living space that includes a luxurious and comfortable lounge area with large dining table and top of the range designer kitchen. Offering contemporary style and sophistication personified, the villa’s flowing interior spaces are rich in natural light and design detail. The four bedrooms enjoy wonderful light and views, not to mention space, style, comfort and the kind of modern bathrooms made for pampering. These areas also feature large walk-in dressing rooms and a private sauna. Take the lift to the lower floor and you encounter a beautifully styled family entertainment room with top range lounging, dining and home cinema facilities, as well as a stylish bar, outdoor BBQ area and glass doors that open to a state-of-the-art garage with automated turning circle. 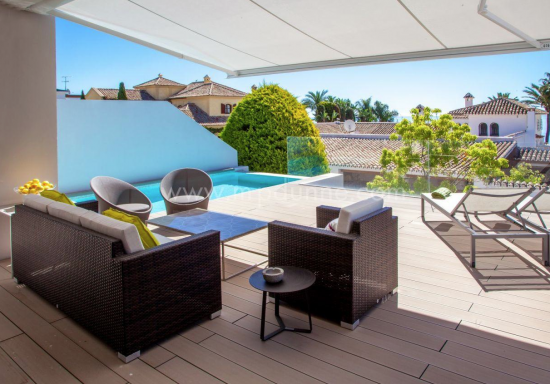 This fine example of a modern Marbella villa would not be complete without the latest home automation systems, which control everything from security, lighting and heating to fingerprint access that does away with the need for keys and enables you to add and remotely control the system as you need. For those who desire an address on the famous Golden Mile, this is a property to view and experienced in person. 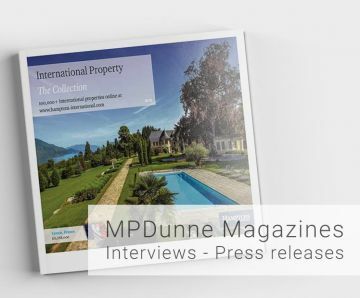 For more information about this and other superior properties in and around Marbella, contact the luxury residential specialists at MP Dunne Properties.